Elizabeth Kapu'uwailani Lindsey, Ph.D., the first female Fellow and Polynesian Explorer in the history of the National Geographic Society, served as the keynote speaker for NSU's 2011 Undergraduate Commencement Exercises. An award-winning filmmaker and anthropologist, Lindsey travels to the world's most fragile regions to document and preserve knowledge critical to navigating the complexity of our times. Her documentary film Then There Were None chronicles the near extinction of native Hawaiians. The film has received numerous awards, including the prestigious CINE Eagle. 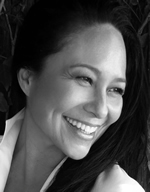 Raised by native Hawaiian elders, Lindsey earned a Ph.D. in Cultural Anthropology and Polynesian Navigation, specializing in the indigenous practice of Wayfinding, the masterful science of non-instrument navigation. She spent 10 years documenting master navigator Pius "Mau" Piailug who, until his recent death, was considered the greatest wayfinder in the world. On Lindsey's most recent expedition, she journeyed to Satawal, Micronesia, where she recorded the traditions of the palu, Micronesian non-instrument navigators. Her journeys often result in multimedia broadcasts of digital, television, publishing, and live events. Together with leading institutions and organizations, including Google, UNESCO, and Oxford University, she is developing a platform of unprecedented social innovation using technology to curate, organize, and broadcast humanity's cultural heritage. Lindsey also works with United Nations Ambassadors on behalf of environmental refugees affected by the climate crisis. An active humanitarian and former Miss Hawai'i, she serves on international boards and has created scholarships for women and children in India and Hawai'i. In 2002, Lindsey was named "Woman of the Year" for Hawai'i Island. Each year, the Farquhar College of Arts and Sciences organizes its academic programming around an annual theme. Lindsey was the last of the distinguished speakers for the year to address the annual theme of "Identity." For more information on the Distinguished Speakers Series, contact the Office of the Dean at (954) 262-8236.